If the exotic name is niggling your memory, Christof was the messianic director played by Ed Harris in ‘The Trueman Show’ Slightly abashed, tonight’s opening act did feel duty-bound to point out that his Twitter/website address might be likewise self-deluding, it being ‘Christofmusic’ Do the math! Put that to one side though. 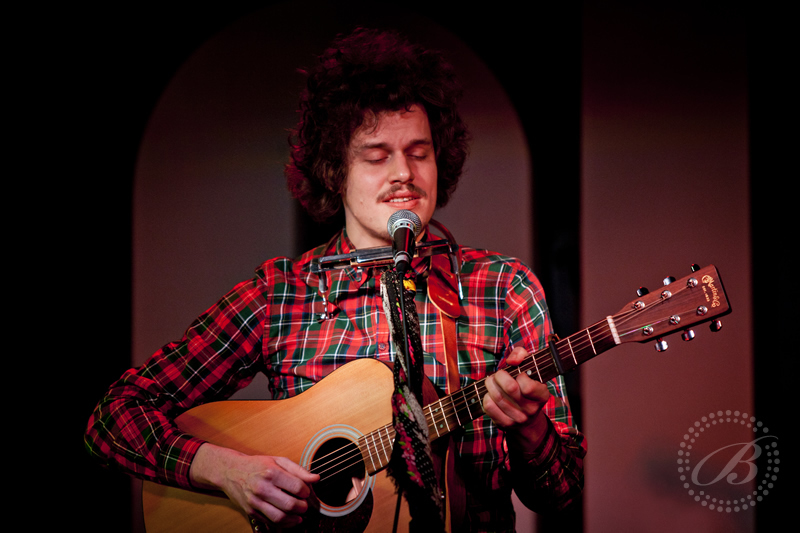 This Christof is one of the archetypal guitar/harmonica wonderful wondering minstrels, an ever-lasting tour-bound troubadour native of Holland who washed-up on the shores of Galway and only just lately escaped its ‘Graveyard of ambitions’. Endearing heart on tear-soaked-sleeve songs of loves unrequited, squandered, lost and found. However, his internal dialogues, both with Charlie Chaplin and a sparrow, suggests it was wise to give up toting on those ‘Galway Carrots’. 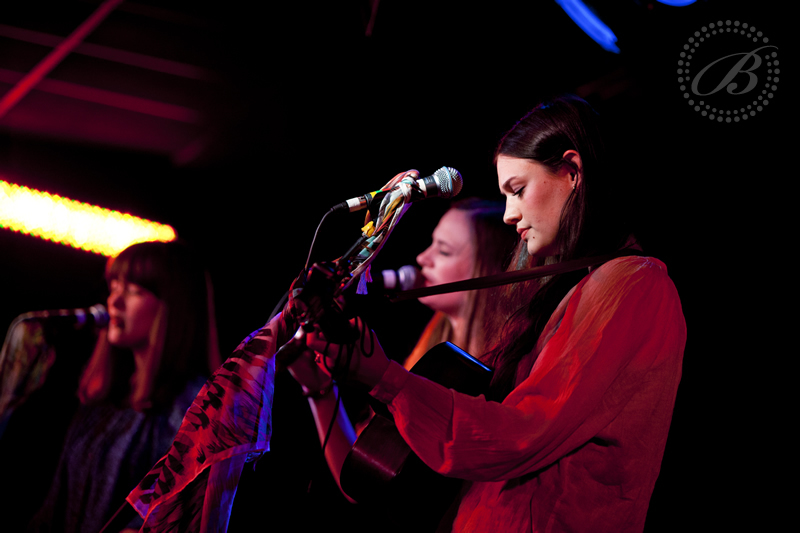 It couldn’t just have been the Summer-time booze that had the Moseley Festival crowd going all gushy late last August when The Staves’s bewitching harmonies beguiled the approaching twilight hour. It’s kind of magical faerie wings brushing across crystal cats’ whiskers. 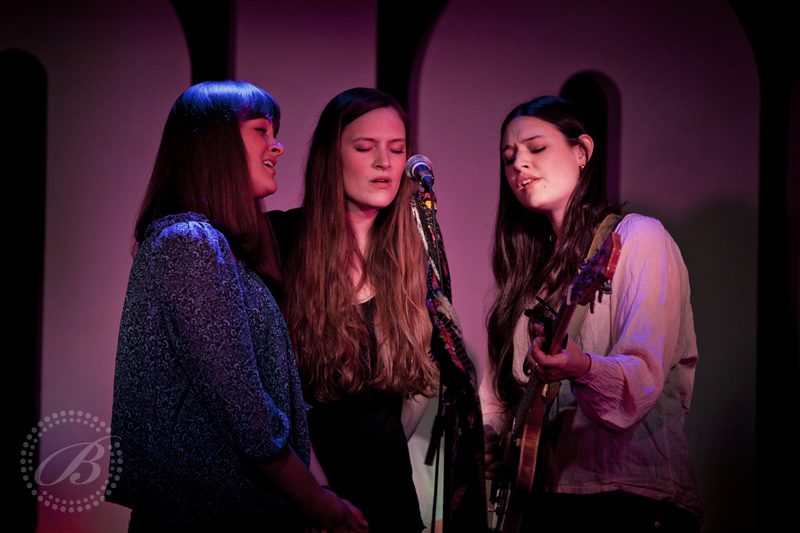 Sisters three, Emily, Jessica and Camilla’s UK tour has been setting many hearts a flutter with their enchanting vocal harmonies and subtly subdued musicianship. 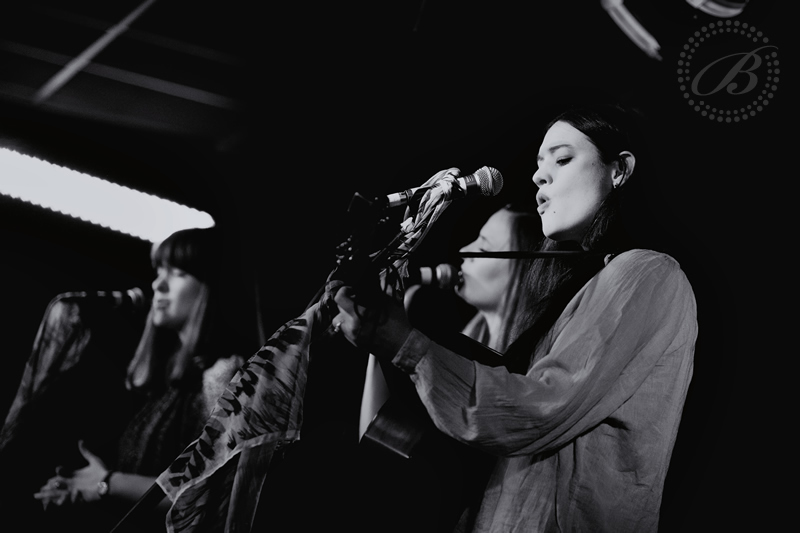 When at one with their damask scarf-wrapped mic-stands, with guitars, ukulele and occasional drone-box accompaniment, to the near acapella charms of ‘Winter Trees’ they are a shimmering presence. Between songs the sibling banter and water-bottle swinging self-awareness could’ve been rather gauche were it not for their disarming modesty. Mind, they did break the cardinal un-written law of on-the-road rock n’ hedonism. They confess to being so amazed that they’re headlining their own tour they’ve taken to defacing the posters with comedy mustaches -’As a sense of achievement!’ if you will. 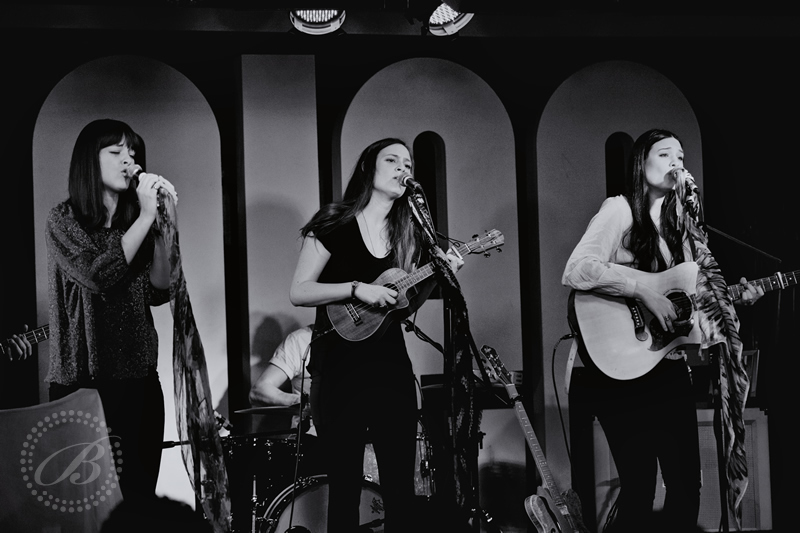 Girls: what happens on tour – stays on tour. No need to distress the folks back home. 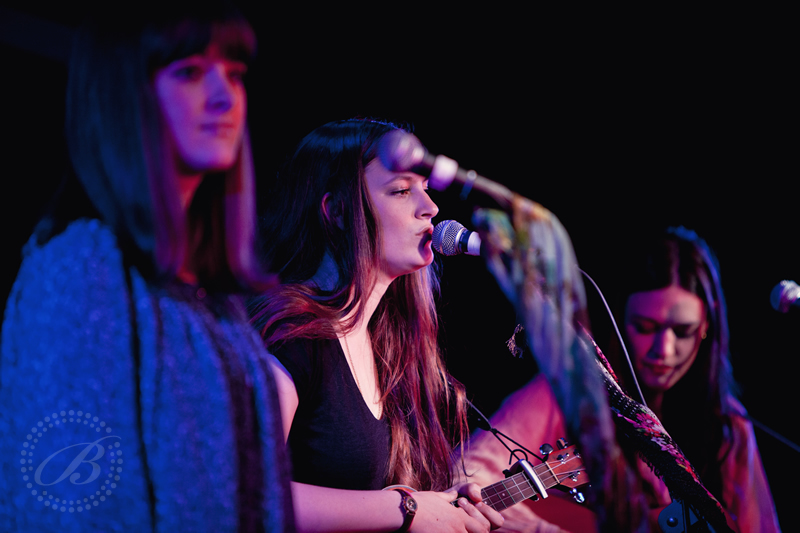 The harmonies certainly evoke references to CSN@Y & Simon & Garfunkle for sure. The Appalachian spring to their up-tempo beat and the purity of the Tennessee tremolos can’t fail to recall songs and artist on ‘Down From The Mountain’ either (Check out ‘Oh Brother’ sound-track). And their affair with the George Martin re-mixed Beatles compendium ‘LOVE’ featuring acapella harmonies from Lennon & McCartney, must be beyond doubt. Whilst theirs is a triumph of unforgettable, exquisitely crafted form and disarming sincerity, on first listening the impact of the actual song-writing substance seems to linger less. But, one cannot doubt their collaborative labours of love ever in pursuit of the magical muse. 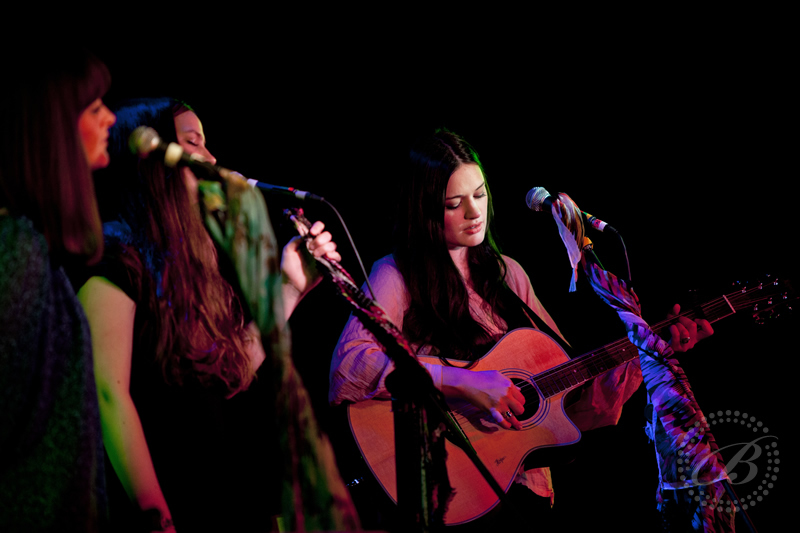 Meanwhile, post-gig they switch to ruthless Staves retail smoulder-mode and shift numerous EPs. Not just pretty voices and faces then. Setlist: Motherlode, Icarus, Gone Tomorrow, Facing West, Pay Us No Mind, Mexico, Tongue Behind My Teeth, Wisely & Slow, Winter Trees, Dead & Born & Grown.